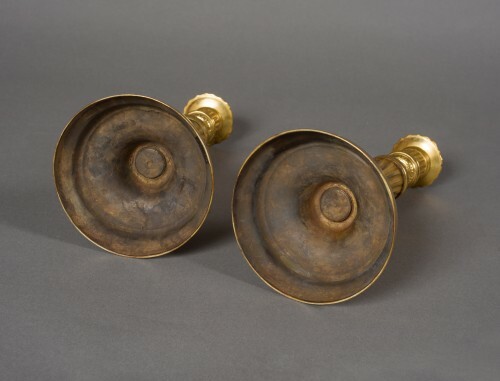 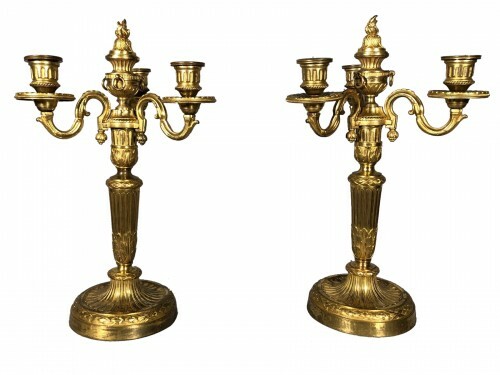 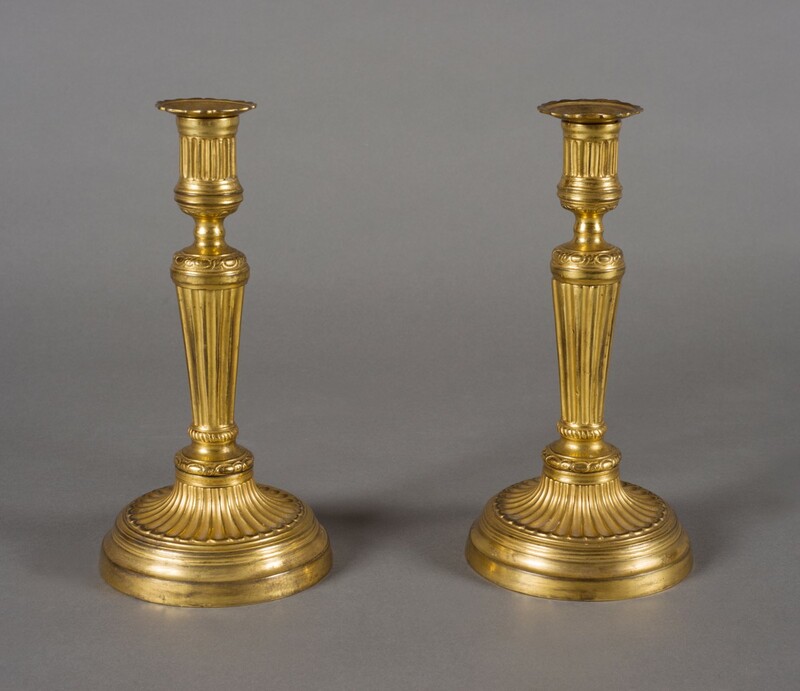 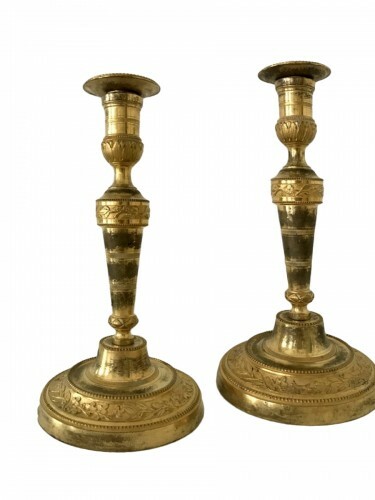 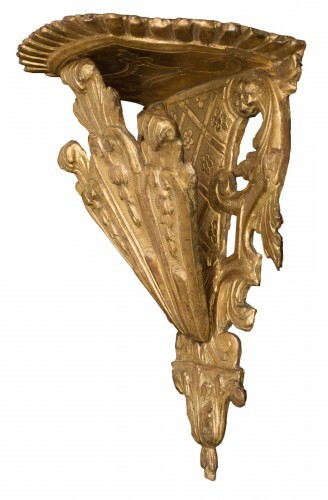 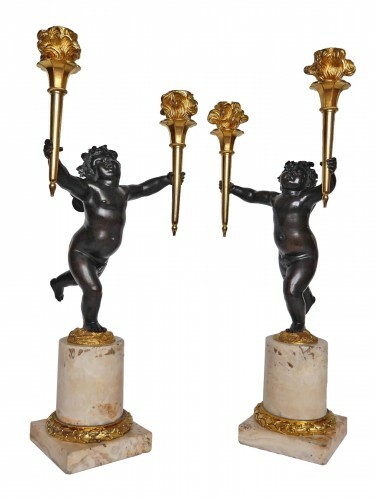 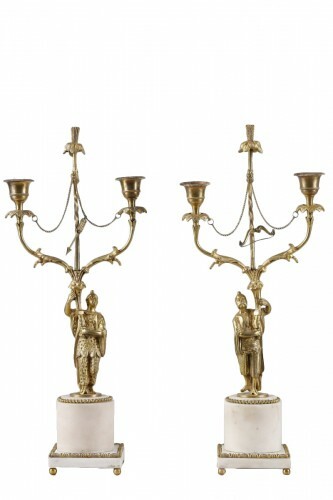 Beautiful pair of candlesticks in gilt bronze. 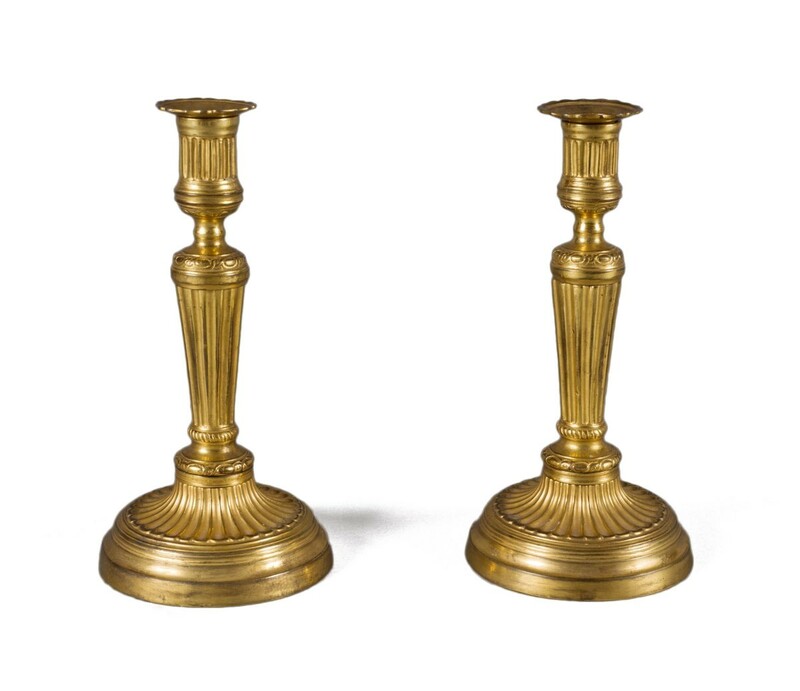 Condition report : good conditions. 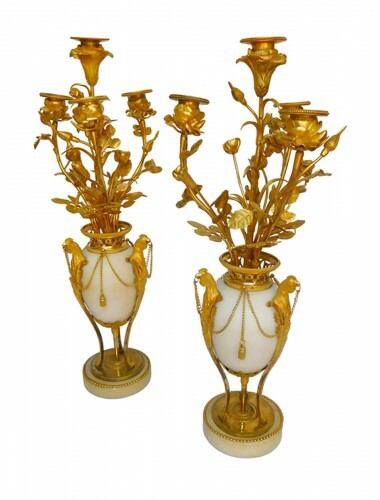 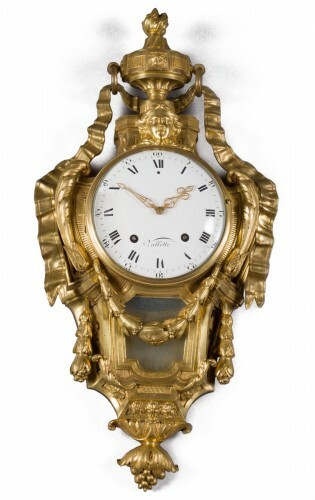 Complete, gilt very well preserved and never restored. 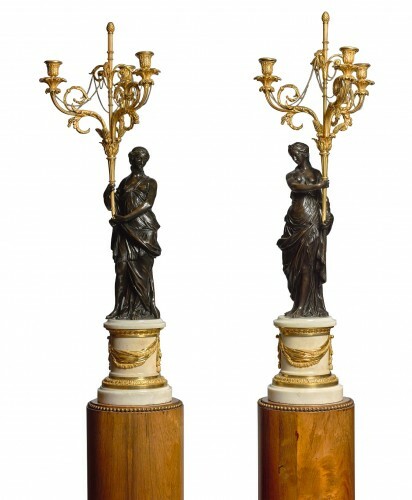 Some wear on the base and the body.